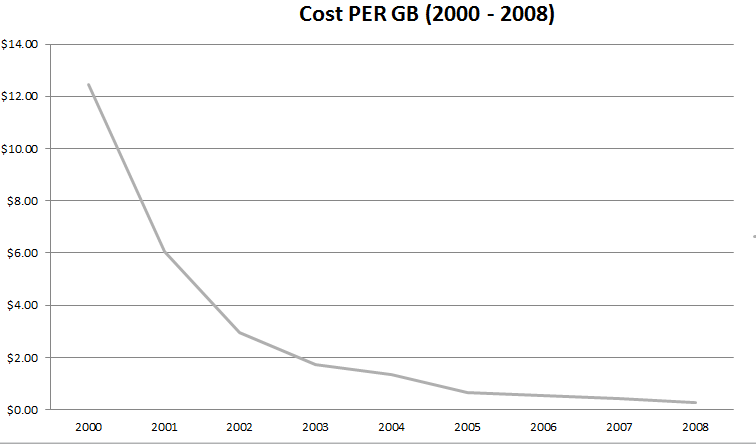 I grabbed data from: http://www.mkomo.com/cost-per-gigabyte And http://ns1758.ca/winch/winchest.html – Thanks! Storage cost has drastically decreased. 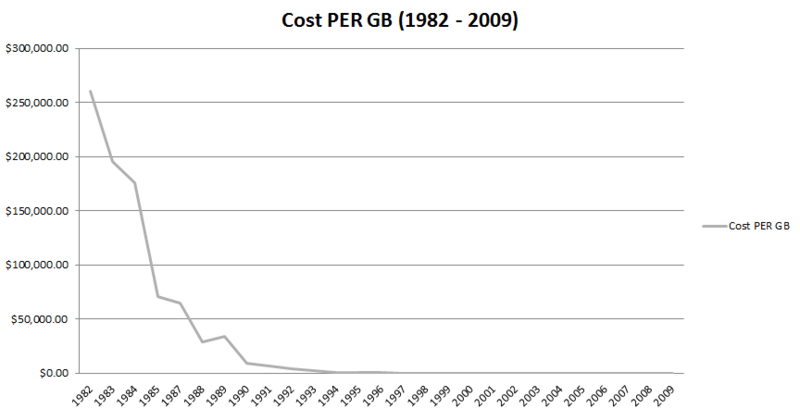 Mathematically, Storage cost has decreased exponentially. No wonder we can store lot’s of data for few dollars and no wonder that the age of Big Data has already arrived!